It’s time to take a boat trip down the River Nile as one of the most powerful women to ever step foot on the earth is waiting for you in Ancient Egypt. The Queen of Egypt has a game that could potentially line your pockets with gold and make this trip very worth your while. Are you ready to see if the ancient gods are smiling down on you in this fantastic game? Play UK video slots here! 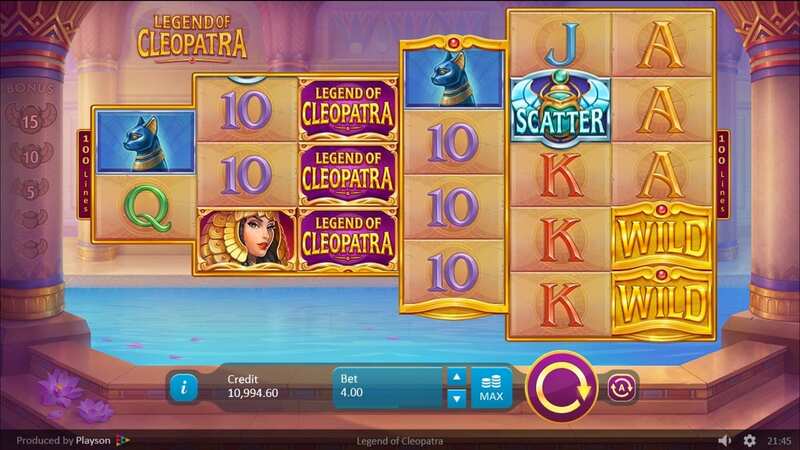 Legend of Cleopatra is a game from Playson, a company with a strong reputation for their slots and skill games. Even though their headquarters are in Malta, the company’s team area spread out across the world, and this international presence is felt throughout their games. Their catalogue of casino slot games features numerous themes based in different cultures, from the Vikings and Ancient Egyptians to the pirates and Oriental pandas. Legend of Egypt isn’t their only Egyptian-themed game; if you enjoy this, you might also like Kingdom of the Sun Golden Age. Wizard Slots offers a number of Playson's best games. The Legend of Cleopatra looks slightly different from other slots as it is arranged like a horizontal pyramid that features an impressive six reels and one-hundred pay lines. This unusual game board is in front of a backdrop that looks just like Cleopatra’s bathing room. Ornate columns surround a large pool that is topped with purple petals. No wonder this is famed as among the UK's best slot games to play. Letters and numbers make up the symbols on the board, though the ones to watch out for are the gods as these will increase your winnings. Some of the god symbols that you can spin include the dog god Anubis and the bird god Ra. You’ll also want to keep an eye out for the bonus features. · WILD SYMBOL – The Wild is very easy to spot as it’s just the word ‘wild’ in gold. It will replace all symbols except the Scatter. If you manage to spin a stacked Wild, you will activate the Double Wild Reel, which could lead to some serious wins. During the Double Wild Reel, an entire reel will be covered in Wild symbols. The pay-out will increase depending on their position on the board. · FREE SPINS – You can win free spins by bagging three Free Spin symbols. If you spin two more Scatters during a free spin, you will be granted an additional fifteen spins. Depending on what you spin during a freebie, you could end up winning an extra thirty spins – that’s very generous for a slot game! Cleopatra will certainly look after you during your time in Ancient Egypt, and she can be very generous when she takes a shine to someone! 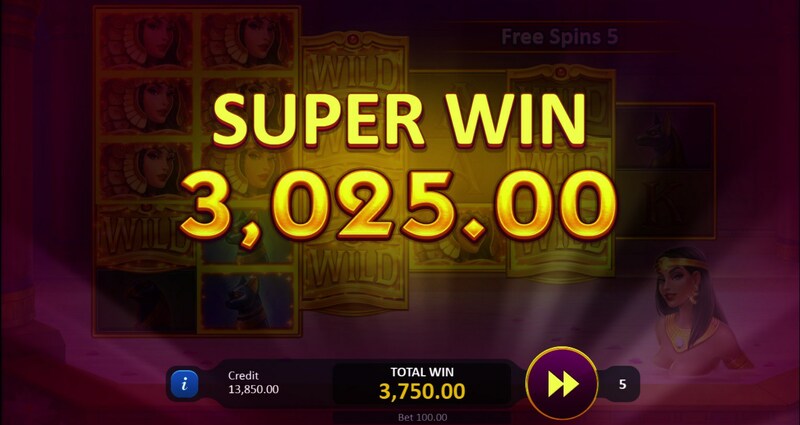 You will find that the wins come fast and frequent when you play Legend of Cleopatra, so it’s well worth putting your money where your mouth is. Not only that, though, but the fun bonus features and sharp graphics make for a great all-round game. The historic theme and very generous odds will mean you could keep on returning to Ancient Egypt as often as you possibly can!